You are here: Home / Gear guide / Diaper bags: What’s Your Diaper Bag “Purse-onality”? Whether you’re running errands with your baby, setting out for the day or the weekend for Grandma’s or just strolling around the park, the right diaper bag can be a sanity saver. This multitasking must-have can function as a portable diaper changing station, a food court to go, a clean-up caddy and a media center–and it can double as your purse or your briefcase. Although basic babyish bags–think totes with nursery characters–are still an option, you’re got a lot more styles to choose from these days—and that’s the problem. There’s so much selection. Deciding can be a matter of trial and error and that can be expensive. I should know. I went through four diaper bags in various configurations before I settled on “the one” and wiped “Hm, maybe this diaper bag is better?” off my mental shopping list. The latest diaper carryalls appeal to mom’s design sense and dad’s desire to share the load. Size matters. Babies may be tiny, but they’re stuff magnets and you need plenty of room to stow it all. Construction, comfort and quality of the compartments for everything can also make the difference between a fab diaper bag–and a dud. Beyond these practicalities, in my quest for perfect diaper bag, I came to the conclusion finding just the right diaper bag can be a matter of “purse-onal” preference. In fact, I’d venture to say that many of us fall into one of seven basic diaper bag “purse-onality” types. Which one are you? Take my non-scientific quasi-quiz to find out! Sure, you’re sopping up spit-up and dealing in diaper do-do. Still, you refuse to give up your stylin’ ways. You want a diaper bag that’s fashion-forward enough to “go” with certain outfits, blend in with your wardrobe or stand out enough to express your individuality. You know you’re one if: You want a diaper bag that functions well. Still, style rules. It’s the look that counts! And a highish price isn’t necessarily gonna stop you. Frills, schmills. The look of the bag is far from your main concern. For you, it’s cost. You want a diaper bag that has everything, such as large, front outside pockets so you can grab essentials such as diapers and wipes and your cellphone quickly, an insulated bottle holder and separate, spacious interior compartments to help you stay organized. Your motto: Substance over style—at a rock-bottom price. You know you’re one if: You’ve been known to stretch the limits. For example, you think nothing of using a tea bag more than once. Why should your wife/girlfriend/partner have all the diaper bag fun? You want to get in on the action. 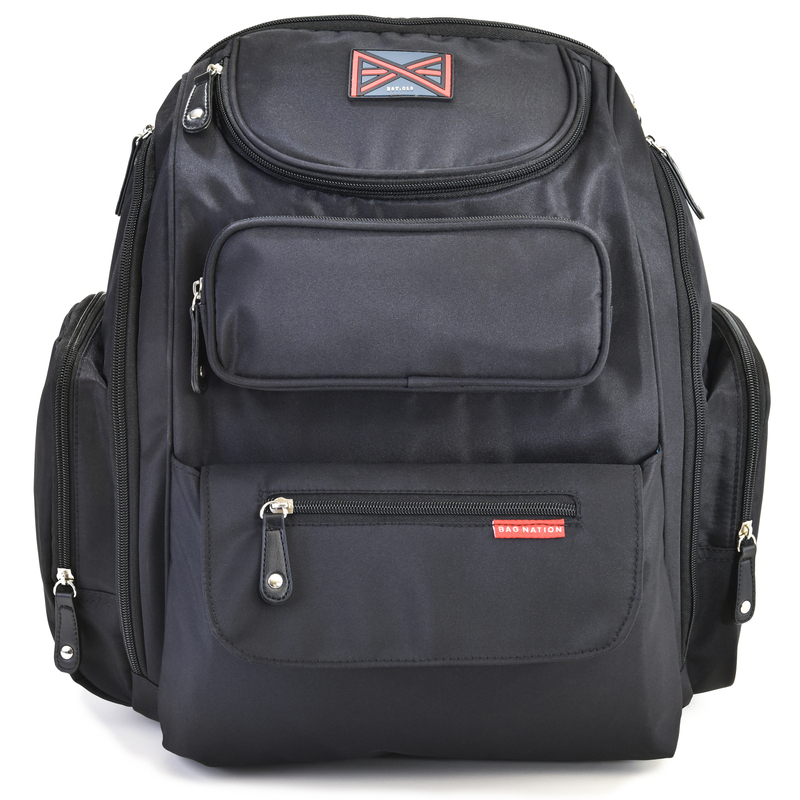 You want a diaper bag that’s practical with all the features, such as a roomy interior compartment for the changing pad and more diapers, pockets for gadgets and water, an adjustable shoulder strap that won’t dig in and fabric that wipes clean (a must for all diaper bags), but in Dad-friendly designs. You know you’re one if: You’re all for equality, but grabbing a girly diaper bag from mom isn’t your idea of a good time. You want to be ready for anything—snack attacks, diaper blow-outs, pre-nap meltdowns and messy meals out—or you’ve got twins or small kids of different ages—and you need a brute of a diaper bag to get the job done. With a baby on one arm, you don’t want a diaper bag on another. Rather, you want a bag that leaves your arms free, such as a backpack, sling or messenger style bag with a diagonal strap. You know you’re one if: You know you’re shouldering enough already! And you like the idea of carrying a diaper bag that doesn’t look like one so you can go from parent to professional and use it long after your baby is out of diapers. You want a diaper bag that does it all; for example, it’s gotta have plenty of pockets and compartments to help you stay organized when you’re out and about–but you also want it to help others. You know you’re one if: You love the idea of helping the world one purchase at a time. Your diaper bag’s gotta give back. FEED Diaper bag—each one sold provides a year’s worth of micronutrient powder to a mother and child in need. Bowie Baby Bag—every bag sold benefits Every Mother Counts. Skip Hop diaper bags—benefit charities such as Baby Buggy and the Ovarian Cancer Research Fund. TWELVElittle Carry Love Tote—benefits Every Mother Counts. For you, a diaper bag shouldn’t just be fashionable and functional. It’s gotta be eco-friendly, too. You know you’re one if: You like the idea of a diaper bag made from recycled components. 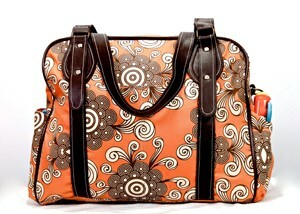 In fact, eco-friendliness is high on your list of diaper bag feature must-haves. Diaper Dude Messenger II Bag—from recycled PET bottles. 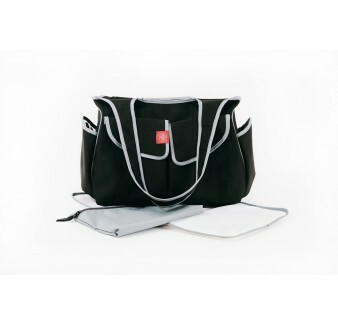 Bumbleride Diaper Bag—fits nicely on the back of a stroller; made from recycled PET bottles. 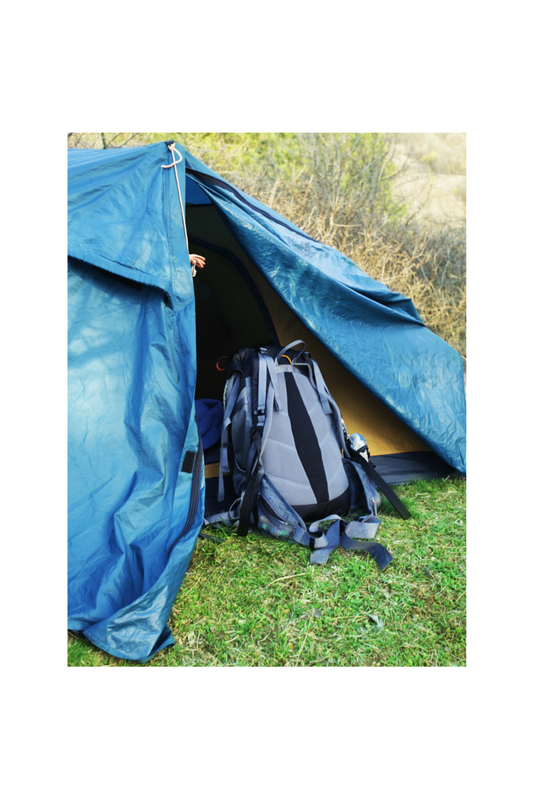 –Durable fabric both inside and out that wipes clean, such as nylon, waxed canvas or polyester. Warning: Vinyl can crack in cold temps. –A light interior so you can easily see what you’re digging for. –Lots of interior and exterior pockets and compartments for storage, including insulated bottle and water bottle pockets, a pocket for your cellphone and a removable pouch for wet items. –Stroller hooks or shoulder straps that are long enough to attach the bag to your stroller. –Adjustable shoulder straps, especially the bag will go from dad to mom and vice versa. The appearance of the handbag is definitely not your main issue. For you, it is cost. You need a diaper handbag that has every thing, such as big, front outdoors pockets so that you can grab necessities such as diapers and baby wipes and your mobile phone quickly.